If you've heard of us, then you are definitely on the right side of the Crypto space. If you haven't, then let's get started, shall we? Just like the majority of the Steemit community, most of our wealth is also stored in digital assets like money in the banks, mutual funds, stocks or even real estate. Because why not? It's the best place to store our money. But how do we know if it's safe? How do we know if these digital assets won't be hacked, stolen, or even taken by fraud? 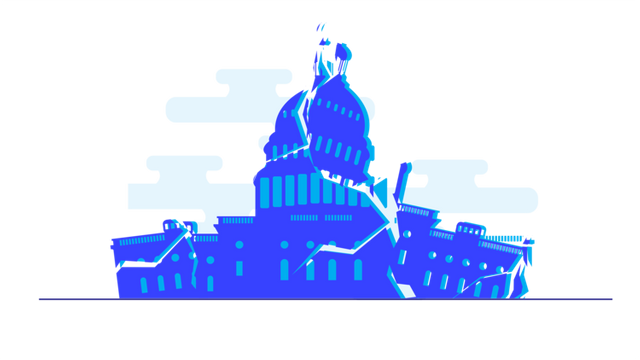 Governments fall all the time and sometimes end up changing their monetary policies. There is a slight possibility that your currency today can literally have no value tomorrow (Egs. : Argentina, Venezuela, Zimbabwe). How do you know it won’t happen to your country? The financial crisis of 2007-2008 led to many economists searching for a solution to the current monetary issues, and in 2009, something magical happened. 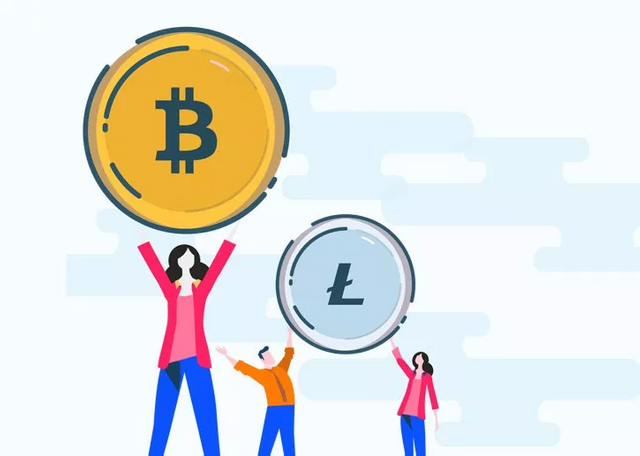 Satoshi Nakamoto released his(or her or their) white paper which removed the need for a centralized authority to facilitate transactions in a purely peer-to-peer and decentralized fashion and making truly beneficial for every user holding the currency. Countries will no longer enter hyper-inflation and your transactions will not be restricted or controlled by the government. Some governments, after looking at the threat that bitcoin poses, have decided to take an anti-crypto stance. This ensures nation-wide acceptance doesn’t happen at a scale where it replaces their national currency. 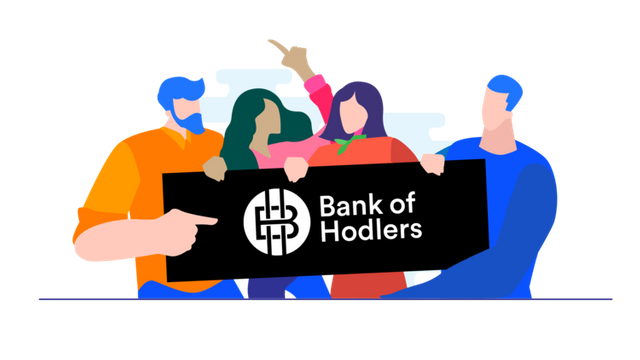 At the Bank of Hodlers, we intend to treat your cryptocurrencies as a separate asset class and offer services to ensure technologies based on blockchain are usable as of today, negating the need for nation-wide and government acceptance for them to disrupt the banking sector. 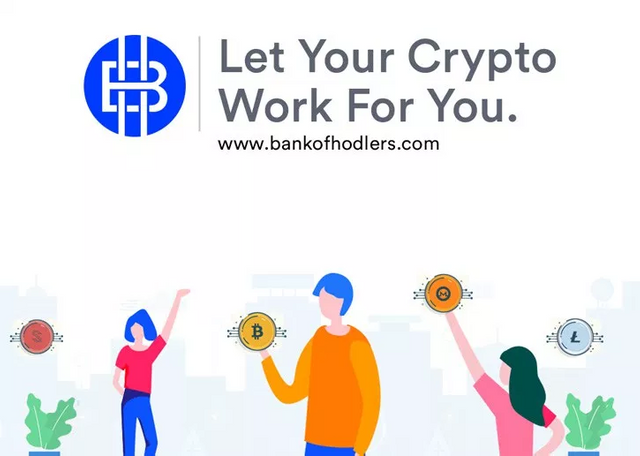 We offer the facility of availing fiat currency using your cryptocurrency as a collateral. We make sure your Crypto is well-secured and protected. In the off-chance a hack does occur, we will make sure your crypto is back in your wallet within 24 hours. Insurance provides you the flexibility of a hot wallet with the security of a cold wallet. A crypto card lets you hold bitcoin and gain the upside, while still being able to use it for payments with people and businesses today. While we still work on these exciting new products, we do keep our community always engaged with articles and news posted on our blog every day. Excited for this new venture? We are too! Check out our site and don't forget to sign up to our Waitlist. "There has never been a time of greater promise, or greater peril for the banking sector." Welcome to Steem thathodler! Partiko is officially the fastest and most popular mobile app for Steem. Unlike other Steem apps, we take 0% cut of your earnings! You can also be rewarded with Partiko Points while using Partiko and exchange Partiko Points for upvotes!